Literacy Loves Company: Come Celebrate with Me! I recently reached a TeachersPayTeachers milestone! Phew! With a lot of hard work, long hours, deterioration of my eyesight, and gain on the scale, I made it! 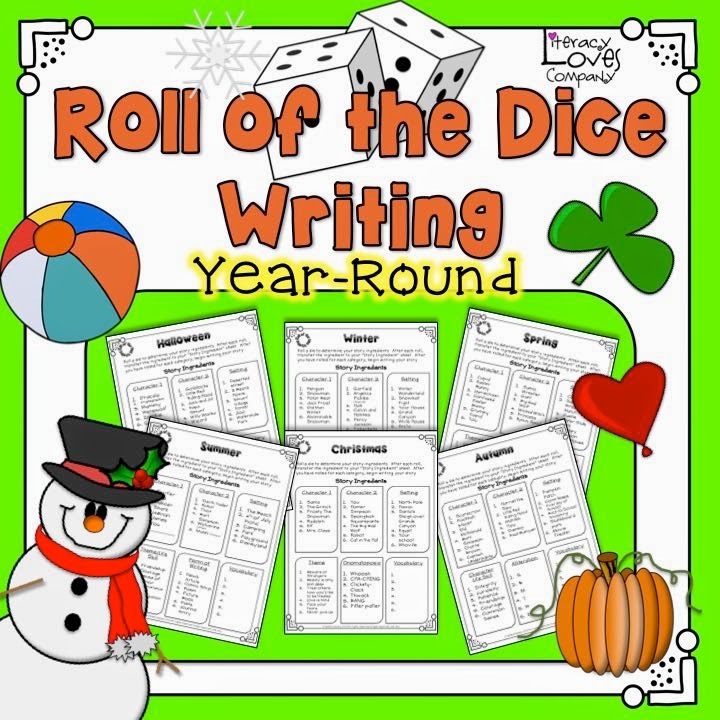 I'm celebrating by offering this great little writing activity free for a limited time! This would be a great resource to pull out for last minute sub-plans, add to your emergency sub folder, literacy station, or just a fun activity to engage and inspire your students to write! If you love your kids to have fun, collaborate, problem solve, and think hard, this is the perfect activity. Speaking from personal experience, be prepared for a room full of productive chatter as partners plan and problem solve their way to a fun filled writing experience! I hope you enjoy this activity and if you aren't following me on TpT, Pinterest, or Instagram I'd love to include you in those families, as well as here on Literacy Loves Company blog! Thanks for helping me celebrate! ENJOY!